Small business owners agree that the internet gives them the best opportunity to compete against their well established counterparts. Launching your small business online gives you access to millions of potential customers from all over the world. However, just launching a small business online cannot guarantee your success. You’ll need a perfectly crafted and executed launch plan that will ensure that the business hits the ground running. Search Engine Optimization should be at the core of your launch strategy and an SEO manager should be one of your key hires before the expected launch date. 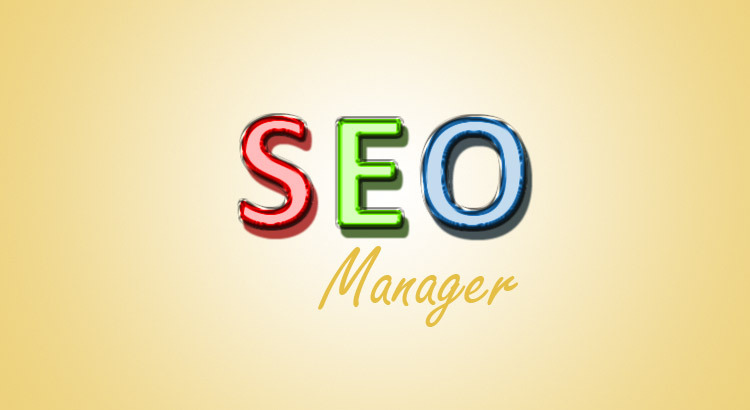 Who’s An SEO Manager and Why Are They Important? Search engine optimization is both an art and science. It involves applying specific online marketing techniques and strategies to improve a website’s ranking in organic search results. Traditionally, the SEO’s job revolved around improved ranking. Today, it goes beyond improved ranking incorporating other business objectives such as branding and lead acquisition, conversion and retention. Simply put, the search engine optimization professional is a hybrid marketer that uses white hat techniques to improve a website’s credibility, conversions, rank in search results and customer retention. Now that you have an idea about what this expert does, why should you hire one for your small business launch? Market research forms an integral part of any pre-launch strategy. Before launching a small business online, market research will give you an idea whether your product or service is in demand or not. Market research also gives you an idea about emerging trends. That is, if demand for your product or service is rising or falling and, the number of players already in the industry. Hiring an SEO expert can speed up the market research process and, lower the cost needed to conduct it. Through the use of keyword research and analytics tools, the consultant can easily give you information whether your product or service is in demand, what keywords to focus on when publishing content and even, what target audience to focus on to increase chances of success. Whatever industry you intend to launch your small business in, you’re very likely to come up against some competition. Jumping into the market blindly can negatively affect your chances of success. But how can you assess your competition especially if you’ll be up against hundreds or even thousands of similar businesses? Organic SEO specialists are experts in competitor research. Through the use of online tools, the specialist is able to create a report detailing who your major competitors are, their online marketing strategy, their target audience and other factors that can come in handy in the creation of your market entry strategy. Competitor research will make it easier for you to outperform your competition in organic search results, find a specific underserved niche within the market, identify link building strategies, create better more targeted content and much more. Launching a small online business can take months of preparation especially if you’re doing everything alone. The longer you wait to launch, the faster the excitement about the launch wanes. Your goal should be to have everything in place fast and to launch sooner rather than later. Ideally, the professional SEO content manager will use different types of content to create buzz about the business’ launch. This allows you to focus on other aspects of the business launch. Launching a small business online goes beyond just buying a domain name and building a website. The site needs highly targeted content, high quality links pointing to its pages, good design and layout, and fast loading pages among other features. All of these fall under SEO and, should be implemented before the website actually launches. Pre-launch small business SEO is more demanding compared to SEO for already existing online businesses. Your business essentially doesn’t have existing customers so you’ll need to create a market segment you want to target with your product or service. This means high quality keyword research and competitor research. To achieve this, you’ll need to get the right tools and, invest in the best SEO strategy for startups. These two investments can be expensive. However, by hiring a search engine optimization expert you won’t need to buy SEO tools or need to learn SEO for startups. All of that is handled by the expert. Launching a small online business can require months of planning and research. If you want to increase the chances that your small business will succeed online, investing in pre-launch SEO is necessary. Hiring a professional SEO consultant can help to accelerate the launch process and, lower the costs that might otherwise be incurred for research and tools needed to run a successful SEO campaign. PixelSolvent is a professional SEO and web development company in India, also offers best mobile application and eCommerce development services.